James’ sales production is legendary, being involved in over 4,000 real estate sales transactions and receiving numerous awards including Century 21 Master’s Hall of Fame Award, Centurion Award, Double Centurion Award, and the acclaimed, Grand Centurion Award. James Mattz is a highly sought after speaker, mentor, and consultant in sales training and skill enhancement. He honed his expertise during this time at Xerox Corporation and Computer Vision, an IBM Company. He services as an Executive Committee and Chair Member for CEDA and United Way. 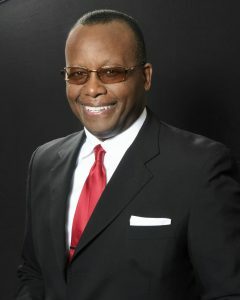 He has also served as a State of Illinois Commissioner for Metropolitan Junior Baseball League (MJBL) and has assisted many young men in obtaining scholarships to play college baseball, including his son, Chretien who was All Conference for the University of Arkansas Pine Bluff and was drafted by the Detroit Tigers in the 2011 MLB Draft. He is the proud parent to four children; Chretien, Mercedes, Savyon, and Gabryella. He has also recently been promoted to Grandfather to his first grand son, CJ.